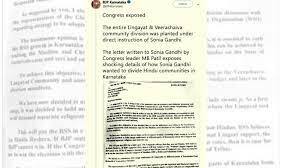 The official handle of the Karnataka wing of the Bharatiya Janata Party on Tuesday tweeted a fake letter alleging that state Home Minister MB Patil and Sonia Gandhi, former president of the Indian National Congress “wanted to divide Hindu communities in Karnataka” to gain votes. The same fake letter was viral on WhatsApp in 2018 just before the Karnataka Assembly elections. 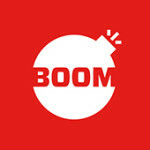 BOOM debunked the fake letter then after fake news website Postcard News carried a story about it and later deleted it. Click here for the tweet and here for the archived version. BJP Karnataka tweeted the letter after Vijayavani, a Kannada daily, published a story on April 16, 2019 based on the fake letter replete with photos of Gandhi and Patil. The article also carried the fake letter with the story published on page 2 of their print edition. BJP Karnataka tweeted the e-paper version of this story with their tweet. The fake letter was viral on WhatsApp in 2018 just before the Karnataka Assembly elections. BOOM debunked the fake letter then after fake news website Postcard carried a story about it and later deleted it. A Google search for “Global Christian Council” and one for “World Islamic Organisation” did not yield any results. 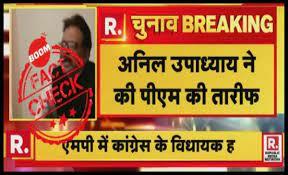 BOOM had also reached out to Patil who had denied such a letter and also said legal action would be taken against Postcard.